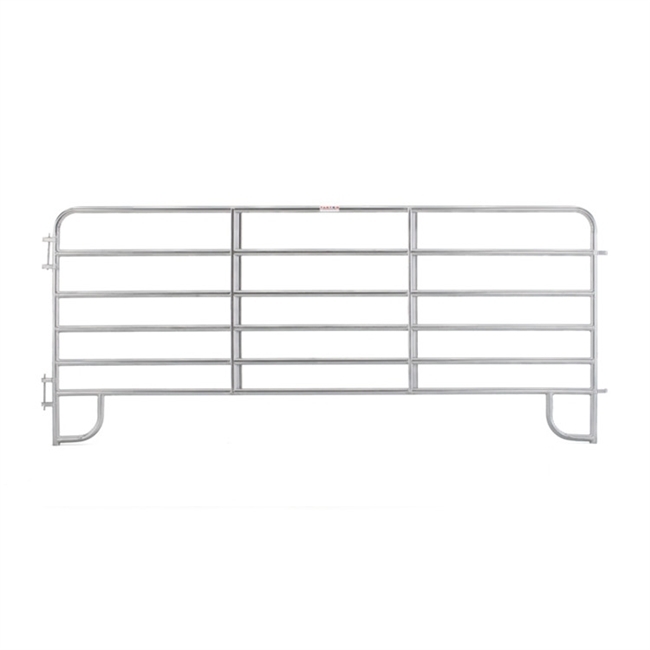 Tarter's 6-Bar Economy Galvanized Corral Panels are ideal for light confinement and are portable for travel to overnight shows or trail rides. These panels are constructed of 1-3/4" round high-tensile strength steel tubing with continuous-welding saddle joints and Z braces for superior longevity. Corrals are easy to set up with the quick-pin latch system.